Such a beautiful Afghan. I know you MIL will just love it. Who would not. 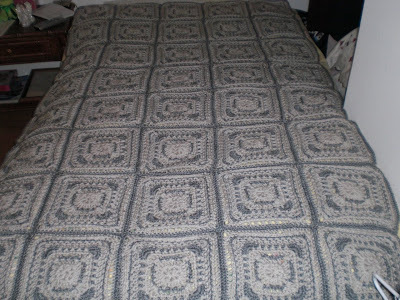 It is very classy looking and I know that you are not the one that loves to make squares and assemble them so this was most certainly a project of love. It looks wonderful! I know that your Mother-in-Law will be very pleased. Great job! Oh that is just gorgeous! What a lot of work. I'm sure MIL will just love it.